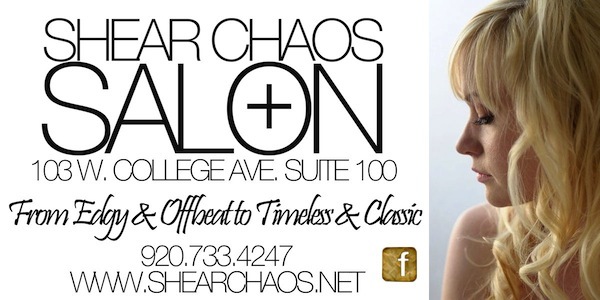 Posted on Nov 27, 2011 by Appleton Downtown Inc.
Shear Chaos Salon is located in the heart of Downtown Appleton at 103 W. College Ave. and definitely has that "Downtown Vibe". Specializing in hair & makeup, with 8 extremely talented stylists on staff, this quirky salon guarantees a beautiful style, royal treatment, and a ton of fun! Shear Chaos is also on Facebook.